A week ago I gave an Evolution Institute webinar about how our “ultrasocieties”—huge cooperative groups numbering in hundreds of millions of people and more—evolved over the last 10,000 years. 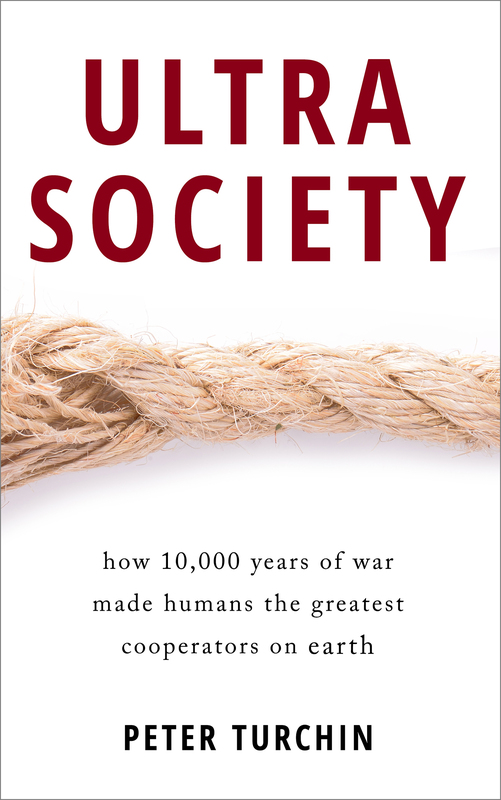 The talk is based on my popular book Ultrasociety: How 10,000 Years of War Made Humans the Greatest Cooperators on Earth. You can watch the webinar on the Evolution Institute web site. We ran out of time before I could answer all questions during the webinar, and so I thought I’d use my blog to deal with the questions people sent in. Jack asks: Do you see the spread of a scientific based liberal education being as powerful as something like war in the evolution of ultrasociality? PT: In Cultural Evolution we distinguish between traits that evolve, and evolutionary forces that cause such traits to spread or wither. Warfare, and more generally, competition between societies, is one of the most powerful evolutionary forces explaining how human societies changed over the past 10,000 years. An example of a trait (what evolves) that I used in the talk was equity norms and constraints on ruler and elite selfishness. Forms of education, about which you ask, is another kind of thing that evolves. Because liberal education is a very recent innovation, it’s too early to tell what its ultimate effect will be. But other forms of education, which were adopted by various historical societies in the past, have certainly played a very important role in making societies succeed, or fail. 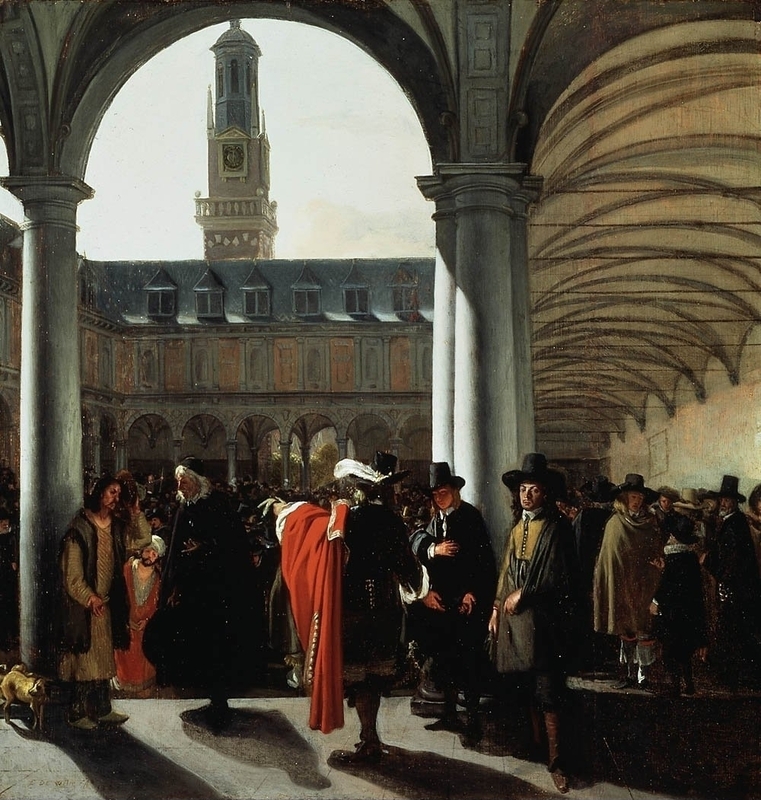 For example, Victor Lieberman presents a powerful argument in his book Strange Parallels that institutions of education in the early modern empires forged a common sense of identity, especially among the elites. Modern education serves a similar function by binding together (hopefully) the whole society, and not just the elites, by building a common set of social norms and preferences that make cooperation at the level of the society more possible. Tom asks: Warfare almost certainly is the most significant selection force acting on cultural groups. Would we be able to include other selection mechanisms? At least to see relative strength vis-a-vis warfare. PT: To expand on one of the points I made at the end of my presentation, I think that the success of modern societies in delivering broad-based improvements in their citizens’ quality of life has become more important today than mere military muscle. Thanks to modern communications and inexpensive mass travel, people visit other countries and see how the locals live with their own eyes. That puts a lot of pressure on the elites of those societies that fail to deliver. Note how concerned the Chinese leaders are with not only sustaining the overall rate of economic growth, but also ensuring that no large segments of the country’s population falls behind (thus, their efforts to bring rural areas along). The recent rise of populist parties in Europe is another example. There are huge swaths of European populations (especially the younger cohorts) who have experienced a decline in their quality of life, compared to the parent generation. They are unhappy and they are putting pressure on their leaders. So I think this is an extremely potent force of Cultural Evolution. Tom asks: Today we are seeing a next-level ideology (globalization) competing with nation-state ideology. What is the cultural selection force that will determine which ideology dominates, if not warfare? Success at delivering broad-based improvements in the quality of life (see above). In the West, the ruling elites currently subscribe to the globalist ideology. 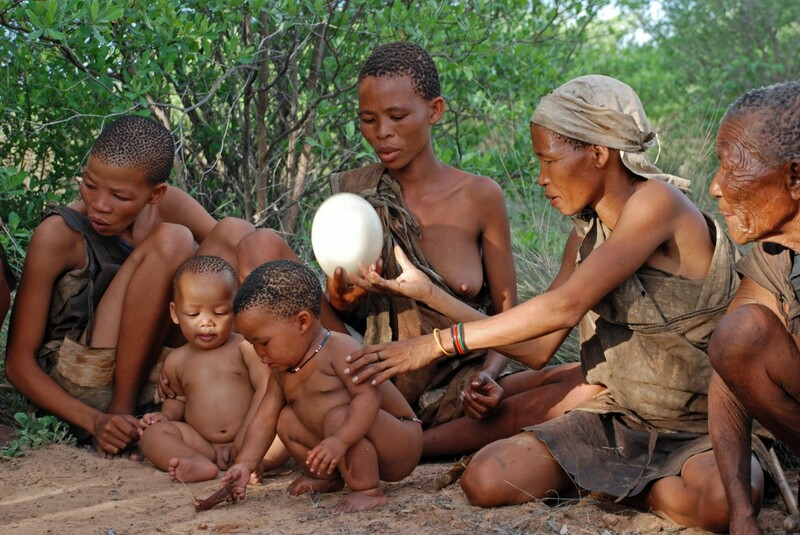 They have also presided over declines in the quality of life of their populations. It is inevitable that anti-globalist, nationalist counter-elites will start winning elections. If nationalist elites prove to be able to reverse declines in well-being, their ideology will start spreading by imitation. If not, the opposite will happen. And this is an example of cultural group selection. Anthony asks: Diplomat and International Relations theorist here. Peter, have you had much engagement with the IR field in applying these models/approaches to contemporary strategic behaviour? There is considerable overlap between your presentation and structural realism, such as that of Kenneth Waltz. Jan asks: Question: In the chart showing the increasing social scale of political entities over time, we reached 100 million people polities about 200 years ago. Can we consider that China brought us to 1 billion? And should we expect to reach polity size of 10 billion, i.e. the entire human population, in a few hundred years? Aha, this is a very interesting question. Yes, I expect that the scale of polities will reach 10 billion in a few centuries. But no, I don’t expect that the entire human population will be within this polity. 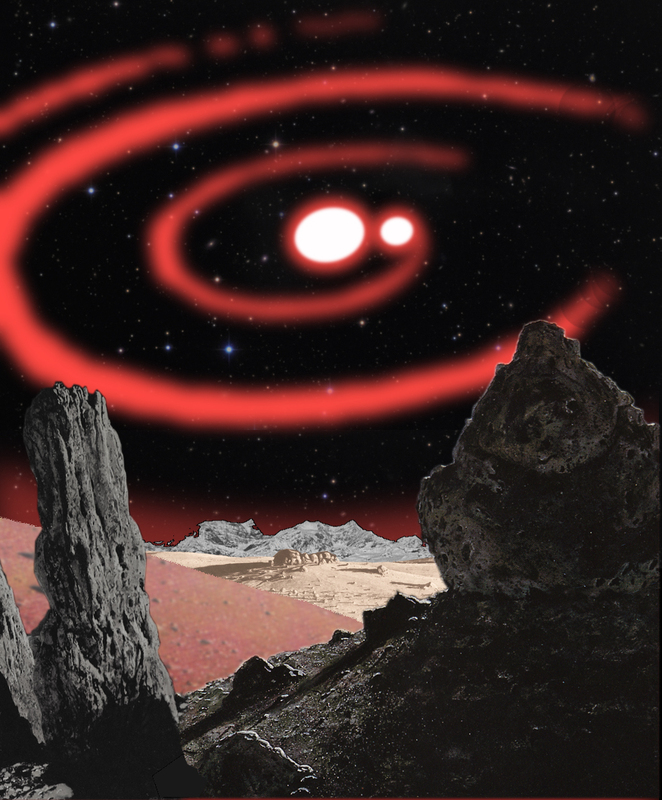 By 200-300 years in the future the humanity is likely to colonize the Solar System and perhaps even establish colonies in other solar systems nearby. Just about only realistic scenario that will have all humans becoming encompassed by a single polity is if we get attacked by genocidal Alpha Centaurians or some such. But to solve the world problems it is not necessary to create one huge global state. Some problems are truly global – stopping the wars and preserving our planet, and require international cooperation. Others, such as delivering broadly based and sustained (and sustainable) improvements in economic well-being, can be, and should be solved locally. Bradly asks: Can you please speak a bit about how ultra-sociality decreases within societies that are successful at conquering others? More broadly, societies that are not intensely competing with other societies are susceptible to the operation of the Iron Law of Oligarchy. Their elites become selfish and use their power to enrich themselves. The result is growing inequality, with a few wealthy and powerful capturing most of the fruits of the economic growth, and the majority of the population becoming immiserated. This argument is developed in much greater detail in Ultrasociety. Shron asks: Would I be correct to see your theory as bolstering the interpretation of the sudden rise to riches of Europe in the past several centuries as resulting in large measure from its fragmentation and penchant for constant warfare? This is certainly part of the answer. But I have a much more elaborate theory for the rise of Europe in the works. Ask me again in a year’s time – by then I should have developed a mathematical model and I hope the Seshat project will yield the data to test the model. Also, this will be the heart of the sequel—Ultrasociety II. 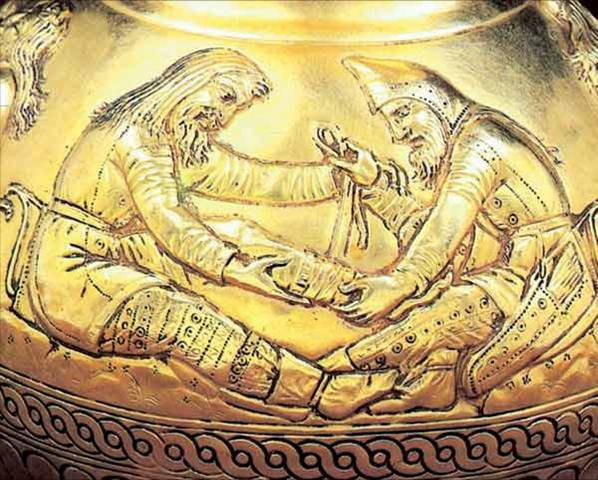 Shron asks: Talking of gentler forms of competition, I was struck by the absence of trade from your discussion of competition, since it would seem to me to be a competition mechanism on par with war in terms of its ubiquity in human history? How do war and trade interact with each other, and has there been a fundamental change in this relationship? I don’t see trade as a competitive process, but rather as a cooperative one. What I think has changed in the last few centuries is that it is now possible for small countries to get ahead by establishing cooperative relations with other countries, profiting from the resulting division of labor, and thus delivering sustained improvements in well-being to their populations. Think the Netherlands during its Golden Age. Thank you all for coming to the webinar, and for your questions! If you liked it, spread the word about Ultrasociety! Wonderful Peter, you are working on a model that explains evolution and therefore life, so who could not be interested. Acually I am doing the same thing in another way, by using logic in thinking and writing as an evolutionairy tool that actually proves to be evolving in new knowledge all the time. I went back to the origin of things by using contradictions as a starting point and found out they are actually based on natural physics, like quantum mechanics. It eventually provided a model of thinking that is much quicker to understand the principle logic in evolution itself. Therefore I prefere theory, logic, to charts, because charts only show what we already knew. Ofcourse I appreciate them as well, because it provides in an extra point of view. Your theory struck me because it is very parallel to mine, with your notion f.i. that elites next to a social cultural population play a certain role, because they are overlapping each other at the same time. Time is one of the key ingrediants of my theory. I have not found a specific name for it yet, but let’s say the Perpetuum theory, that is f.i. congruent to the Greek endless symbol, or Yin Jang as a concept. When we talk about elites f.i., the question is which one. Is it the rich or the wise? Usually cultures prefer economic parameters, as in material posessions, yet at the sime time they realise that a man like Einstein f.i. was very important for culture, although he was never rich. In some sense you could say he gave culture much more; the social selection process; than the rich, because they only take. As economic models are proving right now with growing unequality. My model predicts that human kind will have to completly change its financial/ fiscal system in the next ten to twenty years. Actually it has always been unparallel to natural law; within its relativity partly parallel, as long as evolution allows it; so the change will be a big improvement. What I don’t know is which culture will adapt to it first, Europe, America, or China. A Chinese central bank president has already pronounced a new system is needed, so you could argue they will be the first, but I’m not sure they have the knowledge. Interesting. I think there is a general feeling in the air that our world system cannot go on as is. I certainly hope that the period of turbulence we are entering will not last too long (10-20 years is probably realistic) and then we collectively find an equilibrium — and a good equilibrium. On trade, I certainly agree that voluntary trade is a positive sum cooperative process. However, in a market with free entrance and exit, individuals and organizations compete to cooperate with consumers. This leads to Schumpeter’s Creative Destruction. I would say that competitive forces are substantially — even incomparably — stronger in markets than in socio-political units. The death and birth rates of corporations and businesses are at least an order of magnitude faster than among political units. Globalism was caused by the production of an excess of elites at the national level which had a massive surge after the end of the Second World War. Lawyers, PhDs and MBAs cannot all work for domestic state institutions, not under communism, or a smaller government capitalist state of the late 20th century, so they pushed outwards. IGOs, NGOs, MNCs are stores of expertise. Power-obsessed elites with globalist ideas took advantage of this unprecedented pool of available talent to create visible global networks. It’s hard to argue western society actually voted for globalism – the people of Europe repeatedly voted against the European Union in referendums – and it’s highly probable these populations will vote against globalism again if declines in well-being are not reversed. At that point, they will vote not just against globalism, but nationalism too, in favour of provincialism or localism. We could distinguish between a Single World Civilization and a World Government. The former can exist and facilitate cooperation between peoples at a global scale even when provincialism rules without a World Government stuffed full of corrupt elites who were rejected for domestic government by popular vote at the state level. Ineresting point of view. Personaly I think the evolution was a reversed one/ although there are at the same time consequenses. Economy seeks a most efficient functioning pivotal point that exists in a global framework in single places; like the production of commercial aeroplanes f.i. ; so local economy cultures get deprived of that possibility, unless their talents follow the same route. It evolves naturally. At the same time collective elites can also seek an opportunity to consciously obtain controle over global interests that further handicap their orriginal local economy culture, that percieves them as anymies, not serving the local culture first. Something that has occurred much earlier in the Japanese culture, that tends to socially neglect their ex exbats. Another technical problem is that local governments lose their fiscal controle, because they have less income. Something playing currently in global political relations. The failiour of political elites is therefore mostly felt in local communities, because they have failed. Luckily for them their central banks keep them out of the storm. It is very arguable whether the economy “seeks an efficient functioning pivot point.” in theory, and in certain situations, this outcome is possible but rarely those situations exist in reality so almost always this is not the reality. There are exploiters and free riders that distort economies from where they should be. The belief that the economy is perfect left to do its own thing is just an ideology that ends up defending corruption and injustice. at some time in the future soon you can design your own plane on a computer and print it out on a 3D printer. ever since humans discovered fire technology has given new powers to the individual. new technology is decentralizing because the best approach is not known ahead of time and the economy won’t necessarily find it. the economy is not rational and due to resistance won’t necessarily adopt the best approach even if it knows it, and it takes time for people to learn how to best exploit new inventions. different people/groups try different approaches in competition and in this environment the small group has the possibility to win out over the established one. the more significant the technological breakthrough, the more power to the first, best adopter. eventually the best approach spreads because it’s too costly not to conform. Yes, I agree. But it’s a reclycling mechanism. The new found solutions become the nect pivotal point. You cannot deny that google, face book and twitter are single point ‘totalitarian’ regimes, that determain money flows. 3D printing can very well be a good solution for things, but I don’ believe it can trump mass production, because that in general is the most cost efficient. The failure of todays economy is caused by the financial/fiscal system, that causes a blockade for evolution. This space and time is too limited to explain that in detail, but I will write some essays about that in future. Is what is most cost efficient always of benefit at the group level? Mass production techniques might be efficient in terms of cost to the current set of elites but inefficient for the cohesiveness of the society as a whole. Monopolies on industries can lead to wealthy elites and a political situation of oligarchy that can have destructive and decentralizing consequences. It’s worth remembering that nearly all production is ‘mass production’ i.e. items produced in specialised workshops. This form of production happen at the scale of the village, an industrial estate in a town, or a large factory on the edge of a city. When we use the term ‘mass production’ we usually refer to workshops at the largest end of the scale but nearly all production of goods is specialised. The largest workshops service the largest markets but they can, due to their size and cost, become inflexible and quickly out-dated as new technologies are developed, at which point they can become a status-quo orientated political problem – which is not efficient for the society and the running of a state. In the long term some social-check on the unmitigated power of elites and their monopolies on production and services may be needed as this unchecked power has negative feedbacks on societies the in which they are present. Societies with economies that are flexibly constructed with local production centers that can produce multiple different goods, the templates for which could be designed anywhere in the world, might become the more stable ones. Yes, roughly you are descibing the proces in the right terms. But the consequences of these mass production pivotals are financial. That involving more workers in their proces means a loss of efficiency is a natural evolution, that at the same time gives opportunity to more efficient new ideas, if possible. The equation is time and energy related. 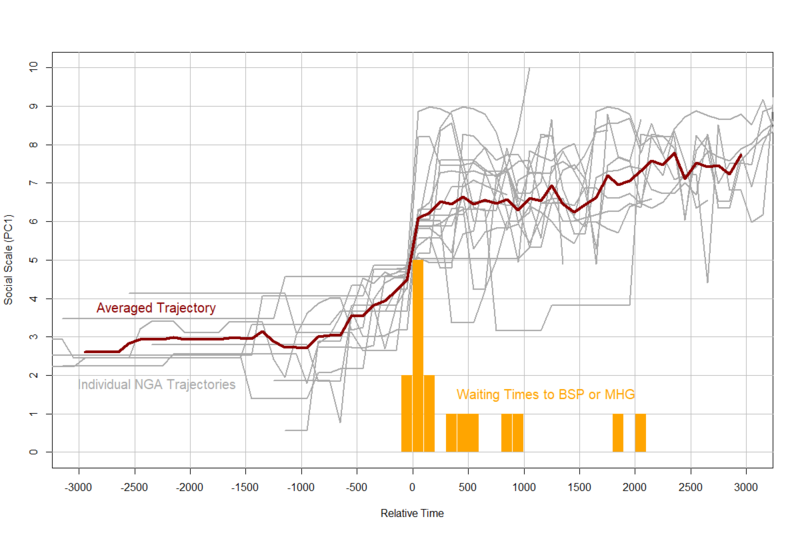 New more efficient processes need to result in a timegain. Time is money, as they say. The less time you need, the more money you make. This obviously can be compensated when you reach a timegain in your private situation regarding bureaucratic and slow processes, that are created by it’s bureaucracy itself because that involves more people, not knowing what they are doing. Apart from that the social obstruction lies in the fact that most people feel submitted to financial systems they don’t controle anymore. A loss of freedom: no time left to spend otherwise. You might call this a psychological problem, but it actualy reflects the real sum energy transformation has been caught up in. In general the new digital economy has the advantage to gain a lot of time, so processes like communication get a lot more efficient, than their previous pivotal points of mass media/ but also means less people making their living out of it. You don’t pay yourself. When I read the word ‘efficient’ I think: efficient for whom? The economy does not have agency, people do. While the corporate media are losing readers (who are 50-60 years old) a new generation is making money on Youtube, and other video media platforms. These platforms have few overheads so entry into the media industry is comparatively easy for someone with the appropriate skills. Younger people who consume this news, and fund this news through their stores with T-shirt sales and Patreon etc, are decentralizing the world as we write. Right. Obviously less overhead means more efficiecy. So you do understand economic efficiency, somehow. The money involved in overhead means unnecesairy time spend in something that has become obsolete. Of course the economy has agency. It’ creating its own logic. Youtube is great, at the same time I would not say that every video on the tube, that you most often see on facebook displays great social intelligence. Sonehow it creates it’s own relative inefficiency again. The same goes for T shirts. Youtube is mostly financed by google from other activities and occasional advertising. It’s a dream to suppose it thrives on peoples agency. Of course that’s why it exists. I don’t deny that. Running a Youtube news channel is highly efficient for the individual broadcaster who can earn more compared to working for a large news corporation. The quality of broadcaster on Youtube ranges from very professional to lower than amateur – it’s a competitive environment – but mainstream news is usually vastly inferior to its best content, providing very little information and fake news much of the time, depending on the political bias of the owner, who, incidentally, will be a member of the ruling aristocracy, with an inefficient interest in the status quo. Youtube broadcasters are very notably not ‘mostly financed by google’ especially very recently since Youtube has begun withholding advertisements on political content it deems inappropriate. For example, Infowars has a revenue well over £50 million a year, and is still expanding, and only £5 million came from google advertising, until that revenue stream was recently stopped by Google. There are many other channels now that are funded almost entirely by Patreon (subscription, essentially), mugs, T-Shirts, that sort of thing. More people are willing to use Patreon and support individual broadcasters because their content is good and directed at them. It’s ironic that the baby boom generation, which itself was a cultural phenomenon, is largely asleep to this one. We will have to agree to disagree over whether the economy has agency. This in my opinion is an error of reasoning that is similarly made when people speak of states having agency. “United States needs this…, it’s bests interests are … etc.” Again, the question: For whom are those interests the best? is pertinent. The state is, when it works, an algorithm, the product of many individual instructions. The economy is not anything in terms of agency; it is better understood as a field within which evolutionary competition between organizations occurs. Yeah, I’m a great fan of alternative (non corporate) broadcasters too, because of the better quality and I am a baby boomer. Remember the babyboom generation turned materialistic in the eighties, not coincidently parallel to the period of Reagonomics. Economic agency also hapoens because of the evolution of new technology. Otherwise corporate media would still be the only ones. After that there is new competition. Which is very good. But the situation is not the same everywhere. Refering to what you wrote about state interests, the US wants this, needs that, corporate television media in Europe are mostly owned by the state; funded by obligatory taxsystems; it does not need competition and the question if what is needed is decided by the owner. So via the moneystream it gets an economic agency, if you get what I mean. The same goes for ecomomic perpetuum of fossil dependend organisations, that cannot stop overnight doing what they do. This creates the evonomic agency. That’s why I am in favor of a basic income, that gives people the opportinity to follow their own agency. It’s a mixure of both. Could some of this be connected to the decline of monarchy over the last few centuries? I’ve found it hard to find any good theories on that. 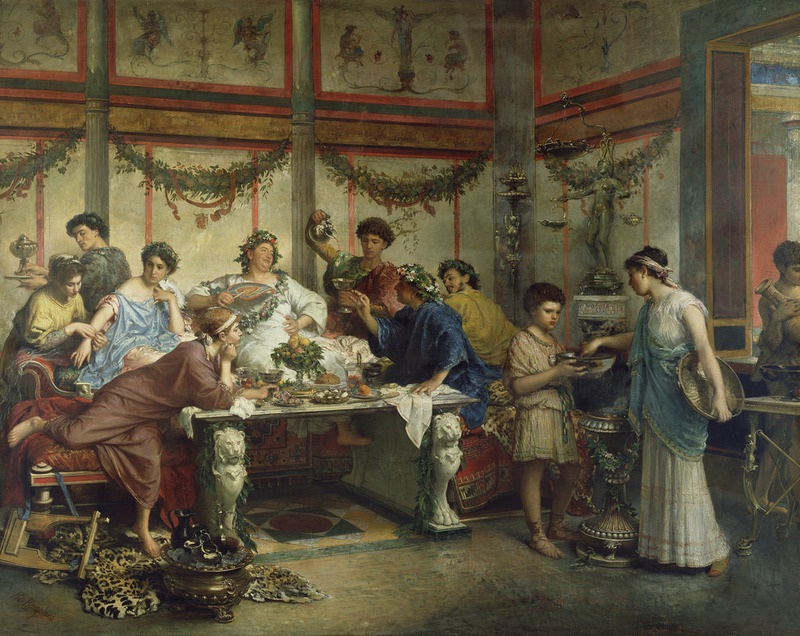 Before a century or so, just about every polity larger than a city-state was a monarchy, and the main exception, the Roman Republic, famously ended up becoming one, the Roman Empire. Some monarchies have lasted for centuries, with the champions likely the Pharaonic and Chinese ones. Yet over the last few centuries, especially since the end of World War I, monarchies have fallen with their successors having no desire to establish hereditary dynasties — even many autocratic successors. Several of the remaining monarchs are essentially ceremonial, figurehead ones, and not active leaders. However, a few monarchies have emerged here and there, notably in North Korea. As to how monarchies emerged, I’ve seen the theory that it’s due to the “crown prince problem” in the absence of a strong institutional mechanism of succession, like representative democracy or a single ruling party. Some designated successor might get impatient, and a leader’s children are usually relatively safe choices. Yes, that’s an intetesting subject. To begin with the last question, there has always been a dualty beteen civil life; especially after setling for agriculture that meant occupying the same land; and military. The king took care of military.and protected the land/ or sought taking more from others, so he became a ruler ectracting taxes from civiians; that’s how the taxsystem emerged; that at the same time meant he only had a job at wartime. Because of this exeption he was the only one who could bring his knowledge to others and that for practical and selfish reasons was his sun. He desperately needed a sun as successor. That’s how family marriages between kingdoms came about, for ofspring and political military reasons. The first question, how monarchy went into decline, clearly happened under Napoleon, who was after the French revolution politically opposing the Bourbon royal family and supposed to be a man of the people/ although he crowned himself emperor later, that can be seen as a political move to block his opponents. The French revolution was the result of a tax system surpressing civilians and coincided with the beginning of the industrial revolution, that started to produce much better canons and rifles. Napoleon was a balistic expert and surprisingly was asked to shoot at still revolting people that were to impacient waiting for ‘democracy’. So Napoleon became a trusted man and rallied the people into his army: l etat cest nous, we are the state; to conquer new land and above all new wealth for France, since the statekoffer was empty. In occupying other countries he immediately detroned the monarch and introduced democracy. Since he was at the samr time a military threat to other countries and their monarchs, after his big loss in Russia, his opponents rallied and later defeated him at Waterloo. So the new democratic countries had become dual ruled states, because next to parliarnent they also had a king for wartime. A strange somewhat opaque combination. As a result of evolution and pariament wanting to establish its power, the monarchs became a more ritual ceremonial titel. So monarchy has everything to do with warfare; although many of them, like the German Prusian King, embraced culture and science, leading to the Humbold brothers university that still exists today, as in Sweden the Wasa family name can be seen on oublic buildings and universities everyware/ although they proclaim to be the most democratic culture on earth. In Germany the king was set aside after the first worldwar and fled to the Netherlands. They were no longer fit for warfare in general that had modernized and democratized. .
Apart from democracy ruling and less reason for war since welfare arose, family succession does not guarentee the best talents needed; although many family owned companies face the same problem; so the whole concept crumbles, although for populist reasons countries have maintained there ceremony, it is ruled by ststistics now that measure populist (democratic) favor ot not. The picture is somewhat more complicated. Between Napoleon’s wars and World War I, most European nations wanted monarchs for those nations, though often alongside parliaments. Holland got a king who was the son of the last Dutch-Republic stadholder, and when they became independent, Norway, Belgium, Italy, Serbia, Albania, Greece, Romania, and Bulgaria got monarchs. Finland almost got a monarch, but World War I got in the way, and it became a republic. But World War I destroyed the German, Austrian, Russian, and Ottoman monarchies, and many of their successors had no desire to create new monarchies. The Kingdom of Serbia expanded to become the Kingdom of Yugoslavia, Britain liked monarchies for the Middle Eastern territories that it got from the Ottoman Empire, and the Hungarians couldn’t decide whether they wanted a Habsburg or a native Hungarian for their monarch, but that was about it. In World War II, Communists overthrew the Yugoslav, Bulgarian, Romanian, and Albanian monarchies, Soon after that war, Italy’s monarchy was voted out of existence, and several other monarchies followed in later years, most recently Nepal in 2008. In that time, two monarchies were restored, those of Spain and Cambodia, and the monarchy of North Korea emerged. Yes, there are often overlapping interests that change and evolve over time and are only administered when it fits in the administration as it is. The (single ruler) kingdom might represent a kind of dictatorship/ while at the same time it represents the constitution, that should be recognized as a single one to be recognized. So it represents two things at the same time, that the single title does not explain. . The reinstallment of kingdoms after Napoleon did not mean they went back to their previous ruling/ but stressed merely the countries constitutional rights that should be respected by others. At the same time that dit not create a conflict with democracy, Because that was ment to be a self deciding proces under the constitution. There were two layers of interest at play. One outgoing to naboring nations/ and one ingoing to represent political interests of its own civilians. The reinstalled kingdom of the Netherlands after Napoleon was a mere predecessor to being ceremonial. It did not have the same meaning, but stressed the country being constitutional. I think in most cases the monarchy symbolic represents that until today/ next to an active parliament representation of different political interests of groups in society as they play out. Each one represent their own function and are not contradictive. Although definitely the king plays a passive role in that line up that does not represents his salary. The fact that monarchies started to disappear after the first worldwar, also ment a shift in the social fabric that played out. In the previous century almost half of the population was serving the domestic household of the elites. Due to the industrial revolution and its factories however contradictive interests between groups in society came to live. The monarchy as a constitution did not represent that, in the contrary. It needed to be broken, or at least neutralized. The communists hated monarchy and in fact have broken down all royal palaces and changed the names of streets. It represented the wrong constitutional elite. Although communism is perceived as an alternative political system regarding democracy, the very communists had the intention to democratize economy, by the rules of Karl Marx. They were not anti democracy/ but anti capitalists. The fact that the economy needed a liberal evolution at the time though was contrary to the communist approach. Politics changed into economics and the king had nothing to do with that anymore. The constitution did not create welfare, the economy did. So political interests shifted to parliament that was far more important in creating a living constitution with the people/ instead of without the people. But this was created by the evolutionary shift of interests that were technical and not socially selected before it happened. . There are visible monarchies (autocrats), invisible monarchies (oligarchic family/ies), and spectral monarchies (puppets). Societies always have an elite class and within that elite class there usually are family houses or lesser and greater power. In what kind of society or circumstances do non-elites acquire political power/consideration? As far as I can tell – all of them. Some autocratic monarchies liked to promote lower class people to positions of power because these individuals would be more loyal to the monarch than the rival aristocrats who had their own power-bases. Among the many sociopathic and narcissistic monarchs, you would also get apparently genuinely well-meaning ‘enlightened despots’ who would do great works to help the ordinary people. I would like Seshat project to help identify whether a certain type of government really does help the common people more, or whether the problem is at the elite level, with elite-commoner relations. For hundreds of years during the Mamluk Sultanate of Egypt the ruling monarch, bureaucratic elites and military officers were in toto foreigners enslaved as children. In today’s parlance we might call it a privatised system of government. The native people had merchant elites who could be very rich but they had no political power. It was handed over to foreigners, first Turks, then Circassians. Osman dynasty of the Ottoman Turks was a single dynasty that lasted over 600 years. That’s the longest dynasty I know. Elaborating further on the subject of rising an falling monarchs and their monarchies. The monarchs; kings, emperors,sultans, pharaohs; may all have had the same kind of position or title/ their cultures were very different. The Egyptian was a typical death culture; never represented as such in any other one; oriented on a life after death, involving all cultural means and grandeur it could think of. Building huge gravetombes pointing to the eternal stars. That only their god leader the pharaoh could transit himself to. In the name of his people, to extend their ruling as an eternal one. The secret of it was so great that all people working on the inner tomb had to end their lives too, in order to keep it eternally secret as it should. Egypt was a fertile land thanks to the Nile and had no strong enemies. The people from Kanaan (the Israëlites) were their slaves. It was not primarely a war oriented culture, but one on cultural belief, a religion that held their lives, using simple hieroglyves. It came to an end when their last pharaoh, a woman, Cleopatra committed suicide, symbolic cutting the navelstring to afterlife. The culture had lost its proud believe. Egyptians were a very proud culture, as one can see looking at the architecture of their buildings, The Roman however proved to be superior and submitted Egypt to their crown. Turkish culture was very different. It’s very likely influenced by the Chinese, during the occupation of te Huns. Because it strives for a kind of harmony, which is typical for the Chinese culture. Their Sultan regularly organizes large meals inviting all the elite’s to sit on the ground with him and eat. He keeps a strong social band with his community and for military affairs he has his generals and does not interfere directly, so he saves his highness. He knows how to neutralize all most important risks involving his position and keeps harmony instead. Until Ataturk; who was perhaps a more worldly leader focust on economics, arose. He canceled 2/3 of all daily praying and the country became much more productive and rich as a result. Something he is still remembered for. Apparently the harmony had overlooked some important details of everyday life, that ordinary people cared more about. Their physical existence. When we finally move to the European culture it changes dramaticly again. Europe’s evolution is mainly about the timeperiode after the Romans. It concerns tribes that were all originally far inferior to them. The Spanish, French, Germans and the English. They all had to compete with each other to survive, as the confrontation with the Romans had tought them. The biggest danger was another culture being superior. Therefore it became a war culture where the king had military responsibilities in the first place and had to keep controle over his people. It was a much harsher existence than any of the other more harmonieus cultures before had experienced. The tribes trained themselves in endurance to such levels that even the Romans were no longer able to controle them/ although they had tried Christian religion, as a peace bringing more harmonious alternative compared to warfare. The tribes simply copied that into a strong believe in their own culture/ and of course not that of the Romans. They lost their controle and with it their faith. far more harmonious with the people. Also taxes needed for warfare created a bigger burden for the people. As kings became used to them as their ‘appropriate’ income, using them for feasts and building palaces it got out of hand. The celestial distance of the French king regarding his people, could not ne better expressed than by his title, the sun king, Until the dirty people walked into his divine frame and blinded his sun for ever. In general we notice there has always been some kind of disparity between what the kings were representing and their people, or the evolution of things that made them unparallel to the real world. The potential shifts with evolution, although each one of them played his role in time. As Shakespeare would have noticed. Not only do we see a rise of democracy in the early 20th Century, we see the emergence of total war fought with conscript armies and nationalist ideology. The interesting development is that military effectiveness today is much more dependent on capital than the supply of labor, and an effective military involves fewer, highly trained and highly equipped elite units. Thus, we may see more of a Spartan/Hoplite social structure than a more egalitarian Athens/citizen navy model. The other complication is that the nation-state as an institution is set up to fight other nation-states. Given nuclear technology, a full scale war between great powers is not feasible, ergo, the nation-state has lost its essential purpose. The real enemy is taking the form of religious sectarians with a theocratic bent and ethnonationalists. It is unclear if the nation-state can actually effectively contend against modern insurgents, or whether the nation-state is fighting to plug holes in a dyke that will inevitably burst under the weight of regional separatist and insurgent movements. Ha. No, that’s not realistic. Aliens that are clever enough to transit light-years to reach us would probably already know we are here and have already arrived “War of the Worlds” style lasers-zapping at our ankles as we flee the streets in terror. The fact they haven’t suggests either they don’t exist or that something has stopped them doing this: perhaps such advanced civilizations are too nice; perhaps they have been prevented from doing this by another alien civilization; or perhaps their intention is to enslave humanity. If the latter of the suggestions is their aim they would begin by corrupting the most powerful elite families on earth with wizzy gadgets and healing technologies with a view to encouraging them to push the nuclear button and implement 1984 Orwellian-type system of government. Human sacrifice/killing of inner-tomb workers occurred in China e.g. Mausoleum of the First Qin Emperor. I did not know it occurred in Ancient Egypt. What clear evidence there is for HS suggest this occurred early and killing of retainers for tombs had certainly stopped by end of 2nd Dynasty. Perhaps HS occasionally occurred afterwards but if it did there is surely no evidence it was in connection specifically to inner-tomb building. Do you have a source for this claim? Hello Edward. I am not an academic, but very interested in history and evolution and todays evolution. I must hsve picked it up from national geographic or a simelar source. Yoy might be right it only occurred in the first dinesties. I got the information from the Seshat database, part of the 95% of the data that we have yet to publish! Which will happen once we have done the necessary preparatory work (review etc). I also can tell you that in the the Middle Kingdom a cultural phenomenon Egyptologists call the ‘democratization of the afterlife’ gave all people ‘ba’ (spiritual force) which meant all people could reach the afterlife. Hence the widespread coffin texts from this period. Osiris, the Egyptian god of the afterlife, was from this time forward thought to inhabit the inner earth rather than the stars, where the afterlife was thought to be located before. Having an immense amount of historical data available from one database will make it much easier to follow the evolution of societies and compare one region from another. Interesting work. It makes sense that since life springs from earth and involves everybody, the focus shifted. Potentially afterlife/ beginning of new life connect there. You would think of it first as a reincarnation concept/ but somehow they interpreted it as a new state of life were you dwelled in. The same as being with the gods in the heavens as a god. So you had two options. Curious to find out what made the difference. It still creates some kind of an elite and populus segregation after all. Well, not just ancient people, as the big bang theorie reveals. http://www.pol.gu.se/digitalAssets/1499/1499026_kokkonen—sundell-2014.pdf — Delivering Stability—Primogeniture and Autocratic Survival in European Monarchies 1000–1800. Around 1000, many European monarchies had been elected or had used oldest-brother succession (agnatic seniority). But by 1800, most European monarchies used oldest-son succession (primogeniture). The authors found that oldest-son succession was more stable than election, and that in turn more stable than oldest-brother succession. They then speculated as to why that might be the case, despite the downside of oldest-son succession: a greater possibility of an incompetent leader. An elected monarch’s electors were usually some aristocrats, like in the Holy Roman Empire, the Republic of Venice, and in pre-partition Poland, or the monarch’s family, much like present-day Saudi Arabia. I’ve also found https://www.cambridge.org/core/journals/world-politics/article/hereditary-succession-in-modern-autocracies/BBE26B84497FEF15B1D98D85B3C07AC4 — Hereditary Succession in Modern Autocracies. When the leader came before a ruling party, hereditary succession was relatively likely. It was much less likely when a party came before the leader. I’m most familiar with Communism, and the only Communist country to ever have a hereditary line of succession is North Korea. http://www.scmp.com/news/asia/article/1296394/democratic-peoples-monarchy-korea-north-korea-changes-ruling-principles — North Korea’s 10 fundamental principles of its ruling party now state that that party will be “kept alive forever by the Baekdu bloodline,” the Kim dynasty, named after Mt. Baekdu. Yes, I always use an energy/time equation in my model to bring clarity in these matters, because as natural physics that also represents involved social selection. In the early days life was harsher and often short lived, so the leadership needed a quick way to revolve itself into a new one just as reliable, if needed and the oldest brother in that case was the best option. 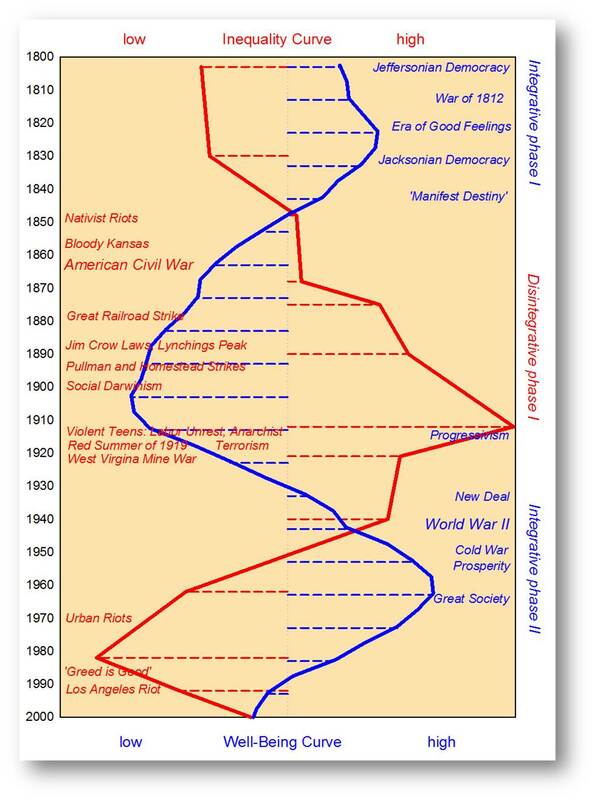 When societies became more stable, rulers also reigned longer, so their oldest sun was old enough to succeed (although not always, as in the case of Peter the Great of Russia en queen Victoria in England, who were both too young to succeed) and kept a relative predictable political stability intact. The oldest brother; being about the same age; would then turn out to be counterproductive, with its shorter reigning period, wanting to compensate quickly for everything that he supposed was needed and make politics overall more unstable. In comparison to election as a proces, the king represents the constitution and that should not change/ while in election that sooner represents another constitution. So, in respect to that its more risky (unless you want to be more agile to unpredictable change) and besides the elites had second options under the top, that were also less vulnerable for responsibilities. They did not mind. Democracy and communism are both very skeptical about interests parallel to politics in economical enterprises (take Trump for instance, its still history alive), because that contradicts equal opportunities. It blocks social selection, because its been selected before. When social selection represents the whole population, which it automatically does. Hereditary means a buildup in time of preselected interests that can also be economical. That’s why both systems; democracy and communism; don’t’ like hereditary, because its counterproductive in social selection that should remain open. Probably there’s an open/ and a closed side of social selection. The family is the closed side. That’s why maffia is such a political debate in Italy. North Korea is a case on its own, although Putin and Russia has a similar parallel to strong single handed leadership. In my view this has everything to do with a les stable economy, since (old) communism fails in that. The cultural selection of North Korea compares itself first with South Korea, which economy has been far more successful. To counter the weakness it needs a stronger military leader. You could say that North Korea wants to be stable based on its cultural selection for communist (community) policy, that can be chosen to represent a social selection compared to an economical; the only argument it can win; so Kim represents that constitution as a king and is a stable choice for a political system in doubt because of heredity. The king as a constitution does not represent military leadership/ but in the case of North Korea its weak economy and international position calls for military muscle. You can see the evolution evolving almost visually in front of you and selecting its options, that in the case of North Korea created a very special baby :-). Being a king calls for community agreement wit the constitution; which is communist in this case; and represents social leadership that will if necessary counterstrike any foreign aggression. Its kind of the mouse that roars. Of course it would be incredibly stupid to attack other and stronger nations, but the show must go on to convince the people, especially since te odds are suspicious. In general a world with less stable economies creates more military muscle. I would describe that as an evolving risk in general. Is this part of a general trait of cultural evolution? Interesting question. Human evolutionairy level has a high acceptancy level as such. There are people living in the arctic as wel as in the desert. Its potential is broad and moldable. It can addapt itself. But therefore at the same time human societies also differ in their level of expectations. Cynisism for instance is not the same as critisism, although there is a similarity between the two, which is disagreement. Cynisism compares to something one cannot change/ and critisism expects some influence. There is also a difference between individual possibilities, as they are perceived/ and those of the community as a whole. You might say that liberal societies are more individual and central driven more collective, depending on its evolution. Ofcourse, when individual believes in a society have a common denominator, it will also behave as a collective, that is not nessecarely materially governed by a person. Apathy and cynisism can be individual as well as collective. They influence each other and evolve, so a society can evolve in and out of it. In general apathy can be seen as the result of a lack of possibilities/ or as an acceptance level of impossibilities. The ‘problem’ of the potential is, it can compare itself in different ways, so reality remains an ‘unknown’. In general though apathy and cynisism mean there is a lack of possibilities. They are counterreactions to that, whether it is realistic or not. It is a sustainable level of existence. In that sence it behaves as human culture normaly does/ but that does not mean its conditions are always as such, to result into that. A society that values subordination to hierarchy will not value critical thinking and expressions of individualism. it is likely to adapt norms that encourage subordination if it feels permanently endangered by external threats, because subordination to hierarchy is seen as conductive to winning wars. How does a polity find the most optimal balance between encouraging behavior conductive to peace vs encouraging behavior that is conductive to winning wars? In both military and economy the model usually is a pyramid, top down. The central position of the leader promises the most potential, because he oversees the total and directs it. This is most important in uncertain situations. There is a big difference between the two though. The military starts from a position of a missing potential that should be neutralised, compensated, so it starts below 0 point. It is incontent to start with, so there is uncertainty involved in the model itself. The top down is a must. But all it can reach; apart from some exeptions in the past; is the neutralisation of the 0 level. It stops there. The economy in contradiction can add to the 0 level and override that. It has a much bigger promess and can remain a perpetuum/ while war does not. It does not have to act as a top down matrix only, because much less uncertainty is involved. The 0 level is its starting point/ instead of below that, as a psychological framework. Probably fi housing is outdated; as in most places in the world; and can be levetated to modern standards, with a better look, comfort, greener surroundings, better renewable ‘free’ energy, etc., that would also ignite resources industries, furnature and assecoires. It brings a lot with it. Don’t start from a one shoe fits all concept, as China did/ but invite different architects to come up with differend plans, according to lokal supplies. So you have alternatives that can compete and guard you from economic monopoly and boredom. Next to housing comes energy- and transportation design, that should inspire creative thinkers also. Fast and efficient transport over great distances over land fi. Make mobility possible for talents to move to opportunities and live there in a nice house. Don’t introduce ownership and debt regarding housing, because that would be inflationary, speculative and inefficient for the economy and its mobility – and stabillity between parents and kids. Start with an internal economy first that uses its own recourses, so you don’t need to import/ and your economy is not export driven only, like China. It contains its own potentials where it labors for, so it is efficient – also in cultural consciousness, there is not a lacking potential, or a missing time/ but an extra. You install middle management and mission goals that are mainly qualitative and not quantitative, although they mitigate. It can negotiate wanted levels with what is possible, what is offered, with its own realism. So they have an owned initiative, that will ofcourse later be monitored, compared and judged. The middle perpetuum is always an effective and important connecting part/ in stead of just top down, because that does note ‘role’. Although it needs its structure and set goals, as a relative static at the same time. To make this possible you offer the money for it/ and don’t install inverted debt next to it. Because that would make its economy inefficient again, when the money needs to be taken out. The labor and its installations represent the value. Money alone does not represent a value. The money circulates in the economy, which values it represents. Also don’t take social needs from labor income, because that makes labor expensive and inefficient. You just provide the money for it, to create its own economy. It wil create labor. Consumption needs to have a standard, with a lower and an upper level. There is no need to fall short of that or to overshoot it. Actually labor costs are nothing but consumption needs. They have no other meaning. I am still working on the financial/ fiscal system with its current illogical presumptions concerning economy and politics, so there is more, but these are some of the main adaptions that should be implimented.